... blame Jochen: "Incidentally, the 'worse' off PCM got—be it vintage recordings or technically inferior productions—the more it profited from DSD. This was especially overt with those gnarly MP3 we all love to pretend we don't own. For example, I had floating about an old 256kbps of US indie band The War on Drugs' Suffering. It's a chilled mid-tempo number held together by a somewhat sloppy but unbelievably mellow percussion. Already in native mode I heard far fewer typical MP3 artefacts (strident hissy warbling treble) but then DSD conversion completely changed the picture. Now everything sounded far cleaner and more homogenous. The strong snare reverb suddenly behaved like real acoustics, not some cheap effects tricks. Tonally the Wurlitzer piano was far better distinguished from the tremolo guitar. It truly was astonishing how resampling/reclocking the same signal improved the sound despite me knowing full well that DSD couldn't really create something from nothing, i.e. 'add' data which PCM lacked. You simply have to hear this for yourself!" What was our good man on about? 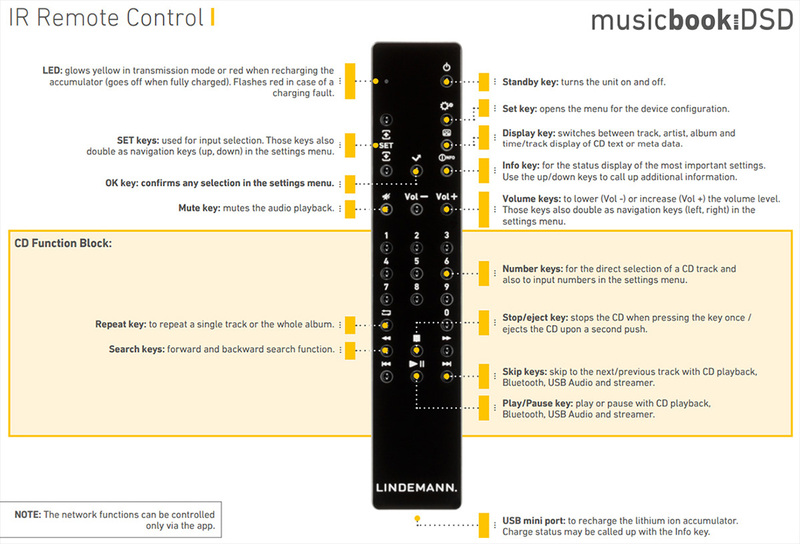 Think of the new Lindemann dsd range as HQPlayer for dummies. If you've read Marja & Henk's review of the Sound Galleries SGM 2015 streamer (€16'000), you already know. One of its special features is on-the-fly resampling of all PCM data to eight times DSD aka 512. This merely needs a superior analog low-pass filter in a DAC that's copasetic with such an octet/octuple/octogenarian direct-stream signal. The software that does all of the SGM's number crunching is Jussi Laako's very geeky HQPlayer. Scuttlebutt of its sound quality led to announcements from Audirvana and even Roon. DSD resampling is coming from them as well. "Wait!" There you go again. "What if I ain't got no computer source to install one of those fancy programs? What if I still spin good ol' CDs or grab tunes off a humble 128GB thumb drive? What if I stream Tidal? What if I can't afford a posh PS Audio, Nagra, Meitner or Andreas Koch DAC which processes all its PCM as DSD by default? What if I want remote control over whether to hear my tunes au nature (PCM or DSD, no upsampling or resampling of any sort); as PCM maximally upsampled; or resampled to DSD?" Hello musicbook:10 dsd. For €2'800, it does all of that except for DSD512. Lindemann currently max out at 256. "Wait!" Geez. Aren't you the pesky interruptor? "I've got an older musicbook. I'm royally screwed now, ain't I?" Nope. €1'250 upgrades you to current dsd spec. Lindemann's modularity concept has you covered. Ditto if you prefer your own preamp. Defeat the ultra-precise Muses 72320 analog on-chip attenuator which incidentally also shows up in the very fine Pass Labs preamps. This converts any musicbook into a fixed-output DAC. All of these new books run on twin AKM Verita 4490 chips in dual-differential/balanced mode. It's how they can define their DSD and PCM paths separately quite as though each machine had two different engines: one for petrol, one for diesel. 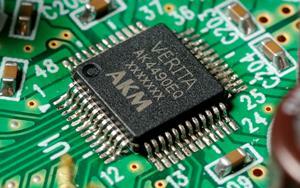 The PCM-->DSD recalculations happen inside an Asahi Kasei AK4137 sample-rate converter or SRC chip. Now the AK4490 mono DACs run in DSD-bypass mode. That means a simple 100kHz low-pass filter. By now you've added up why this assignment came about. Jochen insisted that one hear PCM-->DSD256 resampling to turn believer. That's like filling up a petrol car with diesel. But rather than cause failure, it's promised to go faster and smoother. It even turns Redbook silver discs into virtual high-rate SACD without having to restock one's library. I couldn't wait to get behind that wheel. I've got plenty of music I love which isn't recorded that hot; or actually, too hot. Would DSD conversion break its fever? To complete hardware introductions, more options arrive in the RCA/XLR outputs. They're live simultaneously. You can run either one or—perfect for bi-amping or subwoofing—both together. Do you still own a legacy analog source like a Nakamichi tape deck, Tandberg tuner, Revox reel-to-reel or similar? Use one or both of the Lindemann's analog inputs. Of course that very spiff remote control is included as well; and upon insertion, the headphone jack auto-mutes the main outputs so you needn't switch a thing. Got any more - uh, questions? Then this concludes our waiting game.